We are excited that you are considering participating in Band at Apex Friendship Middle School! Sixth Grade Beginning Band is offered to all sixth graders at AFMS, and no musical experience is necessary. Anyone can play an instrument, and you'll enjoy learning how to make music along with many of your classmates. Students choose to play flute, clarinet, trumpet, or trombone. We will add other instruments later on in the year such as alto saxophone and percussion (with director's permission). 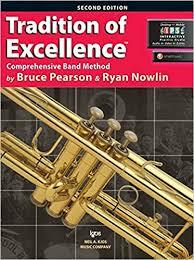 If you already have experience playing an instrument, then you'll be just fine as there will be many opportunities for challenge and growth throughout the sixth grade year in Band. Please understand that sixth grade is the only year that students can begin in Band at AFMS. If you've ever wanted to learn how to play an instrument, NOW is the time! Sixth Grade Band is divided into two classes: woodwinds (flute, clarinet) and brass (trumpet, trombone). The classes meet separately during the day but combine for field trips as well as for December and May concerts. There are no after-school rehearsals for Sixth Grade Band, so students can still participate in after-school activities, clubs, and sports. How Do I Choose an Instrument? You don't need to do anything for Band before school starts in August. It is okay if students are unsure what instrument they want to play. We will go over all the instruments during the first week of school so students can become familiar with their sounds and characteristics as they decide what they want to play.